1. 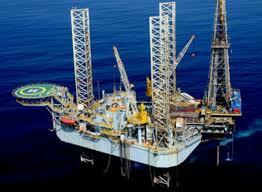 Jindal Drilling & Industries Ltd is a 5 rupee face value Drilling, Oil Exploration & Production company. 4.Jindal Drilling & Industries Ltd pay 0.50 per share dividend since last 5 years. 6. No any bonus issue right issue and bulk deals are recorded in last 2 year. 7. Jindal Drilling & Industries Ltd net sale per share of FY 14-15 is 153.50. 8. Net sale per share is 20% above from market price so I think this stock has potential to give good returns. 9. 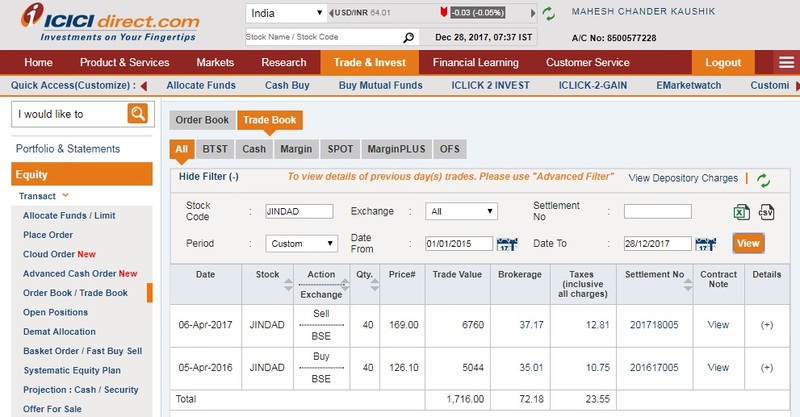 The book value of Jindal Drilling & Industries Ltd is 279.28 So in book value term this stock is traded below book value and will be a value buy. How Chandu book 111% profit with help of fundamental target price of a stock. 8. Overall I think Jindal drilling is a best multi-bagger dividend-paying value buy for long-term holding. 9. 200 DMA of Jindal Drilling & Industries Ltd is 136.31 and at CMP 127.40 This stock is traded below his 200 DMA, So please do not buy it for a trading run this stock is good long-term holding pick and not good for trading. 10. My recent updates:- Download free updated data bank of all Indian stocks (updated in Sept 2017). 12.Discloser:- I Mahesh Chander Kaushik author of this research report is an existing research analyst and passed NISM certification for research analysts. I am also registered under SEBI(RESEARCH ANALYSTS) REGULATIONS, 2014 ( SEBI Registration Number INH 100000908 ) hereby disclose about my financial interest in the subject company and the nature of such financial interest:- 1 Me and my associates or relatives have not hold any share of Jindal Drilling & Industries Ltd so my personal interest is not included in this stock. 2. Me and my associates or relatives have not any actual/beneficial ownership of one percent or more securities of the subject company ( Jindal Drilling & Industries Ltd). 3. Me and my associates or relatives have not any other material conflict of interest at the time of publication of the research report. 4. Me and my associates or relatives have not received any type of compensation from the subject company(Jindal Drilling & Industries Ltd) in the past twelve months. 5. I am not served as an officer, director or employee of the subject company ( Jindal Drilling & Industries Ltd). 6. I have been not engaged in market making activity for the subject company (Jindal Drilling & Industries Ltd). It is interesting to know that I am also following my own recommendations so after 19 days of my earlier report on 5 Apr 2016 I buy 40 shares of JDIL @ 126.40 stock going to 216.55 on 19 oct 2016 and my holding is in 3600 rupees profit but I do not book profit because I book profit after 1 year holding and get only tax free gains, so I book profit on 6 Apr 2017 @ 169 and get 1700 rupees tax free profit, No problem for me because in many stocks I got 200% 500% 1000%+ profits after 1 year holding so 30% tax free gain not bad, now I also buy again after 5 days of this recommendation.